Announcement Date: Results will be declared on the official website for all the candidates on 25th June 2019. Answer Keys: AAU VET conducting authority releases the answer key within 15 days of the exam date for candidates to check their performance. Merit List: A separate merit list will be created for the candidate who has cleared the AAU VET based on the marks secured. Cut-off: The cut-off marks for AAU VET 2019 will be published by AAU on the official website. Candidates can understand if they have qualified for further admission process by checking the cut off marks prescribed by the university. How to check AAU VET 2019 Results? Login with the credentials (Registration ID, Username, and Password) provided at the tie of registration. This rank list will be published on the website on the basis of separate categories. Once candidate clicks on the link, it will redirect to the merit list. Search by entering your Roll Number or Registration Number. Another tab of cut off marks will be available on the official website. This will help candidates calculate the overall rank. The candidates will be required to download and print out the AAU VET 2019 Results for future use. Find the relevant link of ‘AAU VET 2019 Answer Key’ on the page. Click on it, a pdf file will be displayed. Download it and compare with your answers to analyse the performance. 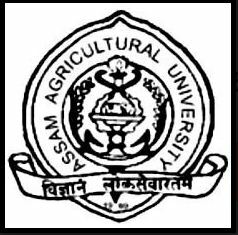 After successfully conducting AAU VET 2019, Assam Agricultural University prepares the final merit list for aspiring candidates. Merit list will be available only through the official website. Candidates can enter the Registration ID, Username, and Password to view the merit list. Candidates must secure overall 50% marks in aggregate in 10+2 exam. Individual score of the candidate in AAU VET 2019. Cut off marks for the current year. Depending upon the merit list, candidates need to appear for counselling session through which the admission will happen for the applied discipline.